Hey heads up party people, I'm having a little party over in Facebook land; you are ALL invited! There will be games, laughs, chair dancing, web surfing, and prizes to be won so grab your bevvie of choice, get in some comfy clothes and WAIT... till Sunday! 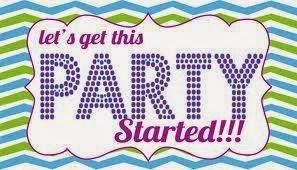 Add your friends to the party and I will send you a LOADED brochure, that is a brochure FILLED with samples!